the remnants of my surprise Shanghai visit two years ago. The last time I returned to Shanghai was almost two years ago, for a quick 3-day 2-night getaway. This was about a month after I started working in Grace AG. It was a last-minute arrangement as my former boss needed an urgent favour. He paid for my air tickets and I thought it was a great opportunity to spring a couple of surprises on some friends as well as to bring home the extra luggage that I couldn’t carry with me the last time. The first surprise I pulled off was on Kay and the second surprise that I pulled off was on the youth group that I had served with. I remember my heart beating rapidly as I drove to the home church where youth service was held. I had planned to attend youth service as a regular attendee – I didn’t tell anyone and arrived without much fanfare. It was great to see so many familiar faces as I climbed the flight of steps to the fifth floor. And it was priceless to see the shocked faces when they said hi to me. The youths greeted me like they would anyone. But it was the second wait-a-minute-that-can’t-be-Joey look that I will remember for the rest of my life. I remember Janelle poking me to check if I was real. It was wonderful to be greeted by so many hugs, smiles and conversations, as well as to share a meal with Bryan. The third surprise I pulled off was on my cell group – the wonderful group of people who took care of me when I was there. I arrived early and remained in my car while I waited for them to arrive. I remember stalking from my car when they strolled into the premise after dinner. My heart was in my mouth when I exited the car to sneak up behind them. I walked towards them covering my face with my laptop and Kay brought me into the lift lobby. I was the last to enter the elevator. Cindy Hong exclaimed. Christine was stunned. Teresa was speechless. They asked in unison, “Are you real?” It was still too surreal for them even when we arrived at the 28th floor; they still couldn’t believe it even after I entered the apartment. Teresa immediately called Cindy Lee (who was sick) and Yee Kean (who had a lot of work to do) to make their way to cell now. Cindy Lee was the first of the two to arrive. I opened the door. She screamed. In my face. And I think I saw tears moments later. Yee Kean arrived shortly after. This time, Teresa opened the door while I remained on the couch. Kay pushed my head down and covered me with her jacket. Yee Kean entered the apartment and sounded really grumpy as she removed her shoes. “I don’t want to play board games. I am tired. And I want to go home”, she sulked. Then she took her seat beside me, still unaware that it was me. “I am also tired and I want to go home too”, I parroted her. She was stunned momentarily. Then she screamed (I think). 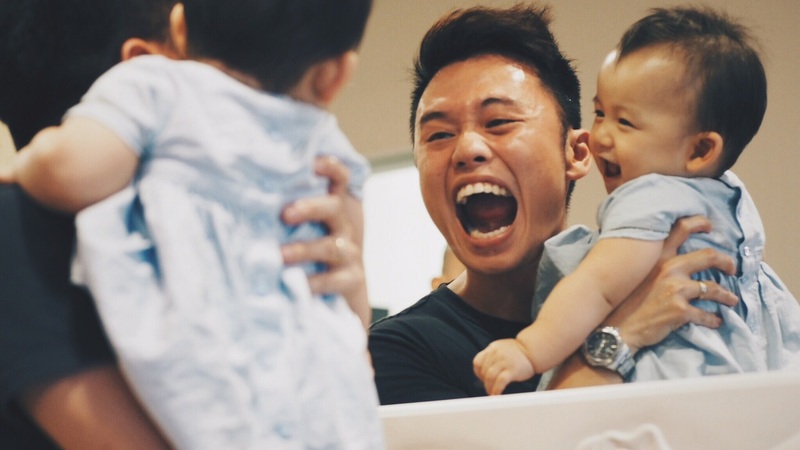 After everyone recovered from the shock of watching each other get shocked, I shared my testimony of my journey into full-time ministry since I left Shanghai in August, as well as what’s in store for me in Grace AG. I am thankful that my decision to trust and obey inspired them to do likewise. To my surprise this time, that cell session evolved into a prayer meeting. I received so many prayers and much encouragement and affirmation from the body of Christ. I also had the privilege to pray a prayer of blessing over everyone present. On a personal note, it felt really good to be feel so loved and wanted. I am thankful for all the da-jies God brought into my life in my short stay in Shanghai. Not everyone shares the same harmless ribbing relationship that Xianyi and Daniel Heng and I share so don’t ever assume familiarity. When you are sorry, just say and be sorry. There’s no need to cover up or make excuses. Sincerity is the greatest apology. But all ended well eventually so I was thankful for a restored relationship. That incident really caught me off guard. On a happier note, my cell mates had a meal together the week before I arrived and Christine randomly remarked that she would “love to have brunch with Joey again”. And as we shared a meal on that table, she said, her “dream came true”. Sweet things like these, a sentimental guy like me will cherish for a long time. My final lasting impression of those three days in Shanghai was heading to Loushanguan Lu to buy a bag for Huiyi from a local store that carried Korea-looking items. As I drove out of the car park, a drunkard suddenly appeared in front of me – so I had to jam brake the vehicle. Thank God I didn’t hit him. But he remained standing in front of me and kept egging me to hit him. Honestly, I wasn’t really annoyed because I just wanted to leave the car park, but on hindsight it was an extremely daring deed committed. It was the first time I encountered something bizarre like that in my two years in Shanghai. But the craziest thing wasn’t him acting crazy but the parking warden and the security guard who did absolutely nothing about it. “Bear with him – he’s drunk”, said the former, matter-of-fact. “Call the police – we’ll be your witnesses”, said the latter, nonchalantly. No wonder I wasn’t all that surprised by the recent videos that came out of China – the inhumane running over of the little girl, and the intoxicated lady who got molested in broad daylight – to seemingly oblivious bystanders. On my flight home, I remember looking forward to returning home quite badly and realised that Huiyi and I would really struggle to survive another long-distance relationship. It’s a miracle in itself how we managed to pull through 15 months of that! I know this post is random and appeared from out of nowhere but it feels good to finally transfer these memories out of my system. I really miss Shanghai. Hope I get a chance to return someday. I don’t really write about events because I’ve set out this blog to capture more thoughts and reflections than moments, but I think I should remember my thoughts and feelings about this particular piece of memory in my operation recovery. The excellent SGH team – be it nurses, assistants, anesthetists or administrators. There’s a lot that could be learnt from their care-giving; I left that evening with better idea of what it meant to show hospitality, from none other than a hospital team. Normal bodily motion and function – with 25 dressings all over my body, my movement is restricted, uncomfortable and painful. I believe I would never take normality for granted again; the temporal inability of doing things normally heighten my appreciation. Sudden and unexpected team of prayer warriors – be it from my DoYouLoveMe? cell, Shanghai MannaM@X cell, REAL2010, colleagues, family members and random friends. I must have had at least 25 people praying with and for me. God does His math properly – one for every lipoma. Mummy’s unfailing storge (natural love and affection from parents) – 10th March marks her birthday and yet she spent the entire day making sure I was all right. The closest agape an unmarried man would experience would undoubtedly be from his mother. I could never be more thankful for the last 27 years of care-giving, self-sacrificing and out-loving from this remarkable woman. The comfort and assurance I felt when I was pushed back to my ward to recover, and to find a familiar face of love who had been waiting there for the last two hours. That is something I should never take for granted because she doesn’t owe it to me; she didn’t need to do it, she wanted to. HY had a fear and natural dislike for hospitals and yet she overcame that to care for me. Of course there were boo-boo moments (for us to know, for others never to find out), but it made it all the more memorable. She demonstrated patience for my impatience and a cool head for my hot head. This last statement actually does sum up how HY makes me a holier person by allowing me to overcome my weaknesses by learning from her strengths. HY came to my place today to also celebrate Mummy’s birthday. She bought and brought along with her my recovery pack – two boxes of Post cereal and Magnolia milk for my breakfasts over the next week, Bee Cheng Hiang pork floss for my congee lunches and (my two favourite snacks of) Famous Amos cookies and Jollybean peanut pancakes in case I go hungry at night. It doesn’t get more thoughtful than that! HY never fails to demonstrate to me that love is indeed a verb. All right, I’ll be missing in action until next Monday (when I visit my doctor for the follow-up medical appointment). I doubt I’ll be mobile enough to make it to church services this weekend. I’m gonna try to work on the Newbies sermon series during this period of absence but I highly doubt my productivity. There’s little packing that I can do at home due to the awkwardness in moving around too. So… I think I’ll just be reading, playing FM (hehe), watching free movies on MioTV and couch-potato-ing a lot during the next few days. I welcome company.